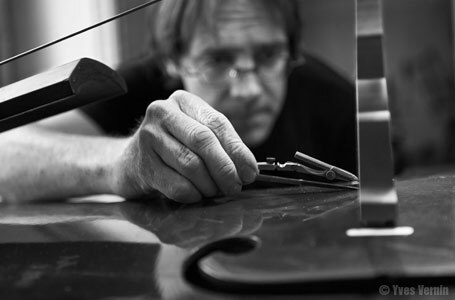 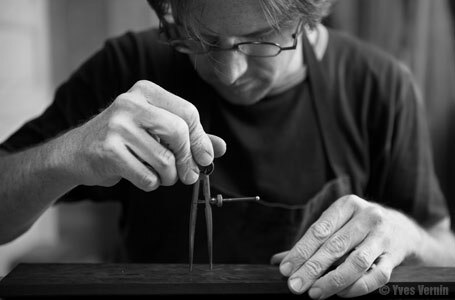 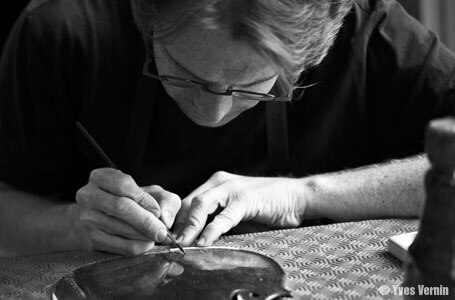 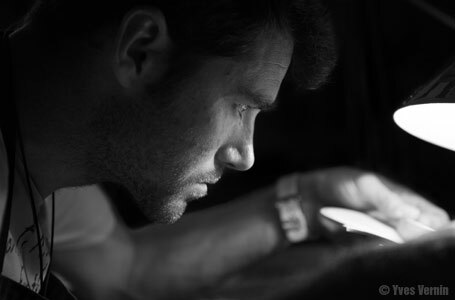 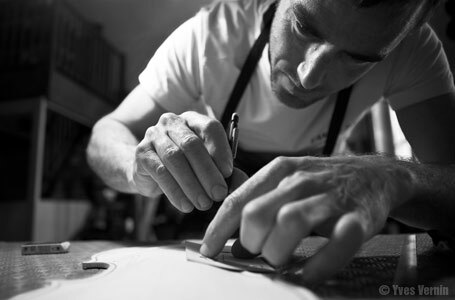 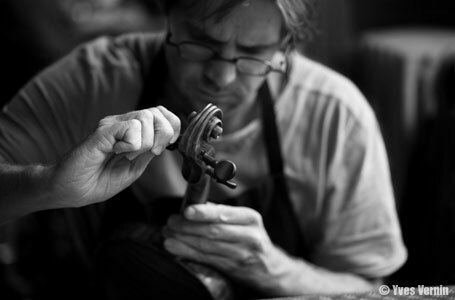 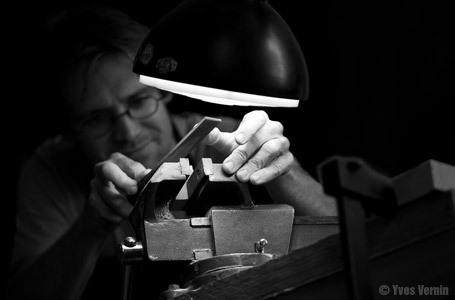 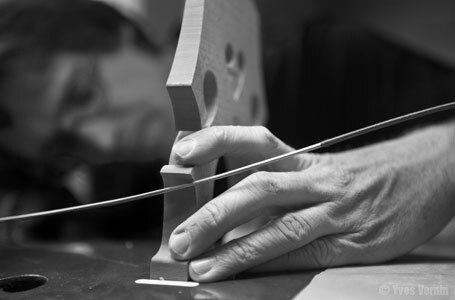 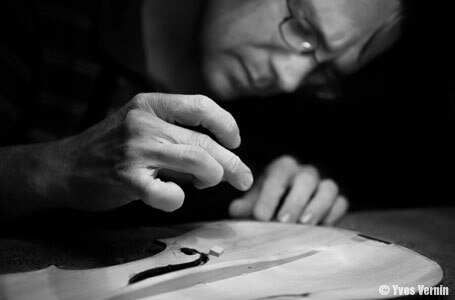 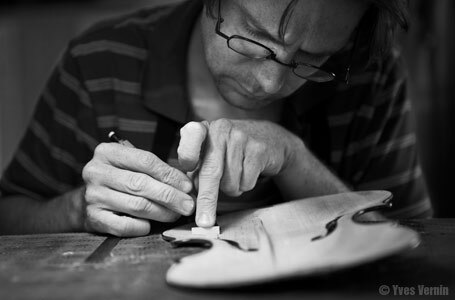 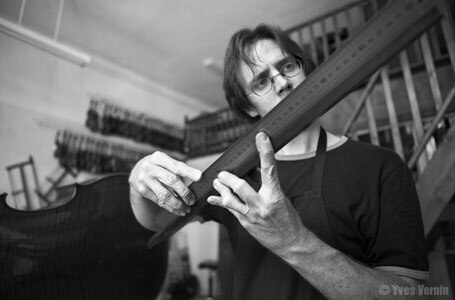 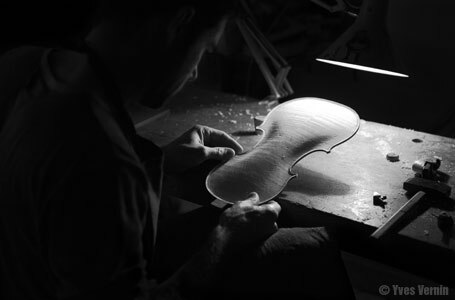 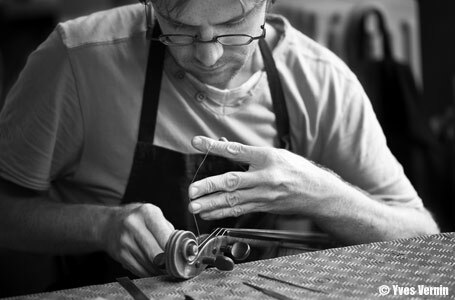 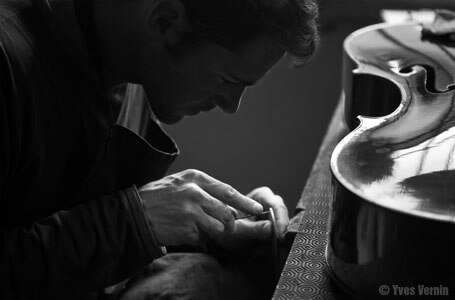 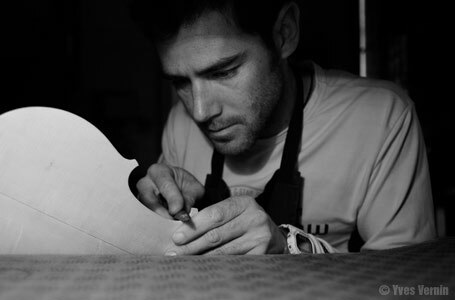 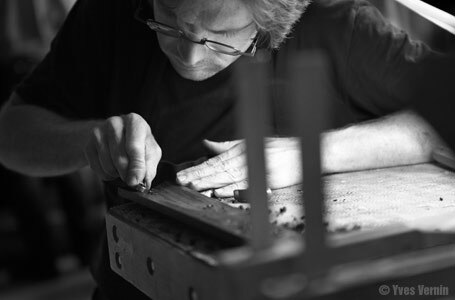 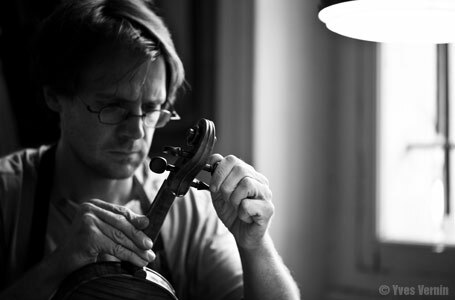 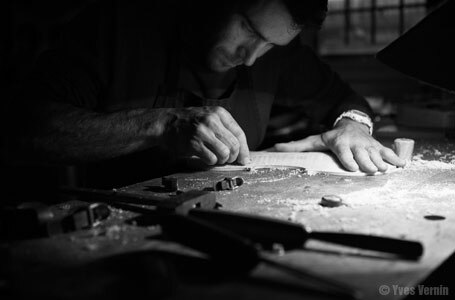 In their workshop in Marseille Charles-Luc HOMMEL and his son Camille HOMMEL, assisted by two violin makers, Benoît GERMAIN and Anne-Walda BERTHELOT, restore, repair, design, make, sell and do tonal adjustments to violins, violas, cellos and double basses. 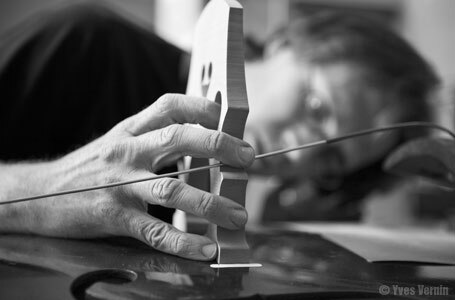 They also offer rentals of these instruments and their bows as well as providing high quality personal customer service. 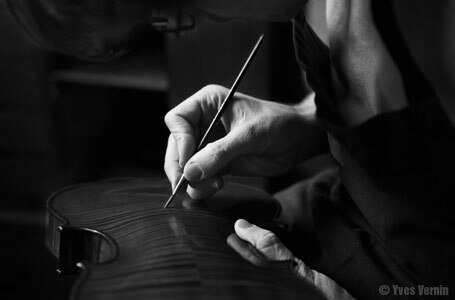 To ensure the workshop’s continuity its corporate structure was changed in 2012 to a limited liability company enabling Camille to become co-manager. 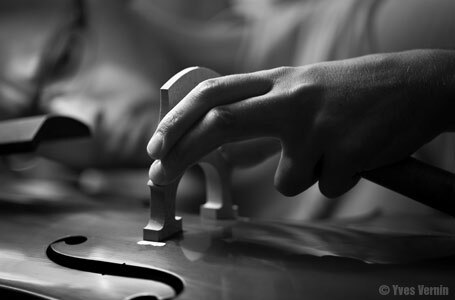 The tonal quality of the instrument depends on the quality of the craftsmanship, the materials used, the know-how transmitted from master to student through tradition but, above all, on the desire to rediscover the colours of sound which exist in the memories of all music lovers and musicians. 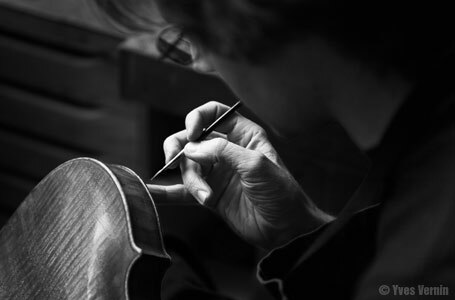 This is not only valid for the adjusting of old instruments which may need to be restored, but also for the making of new concert instruments. 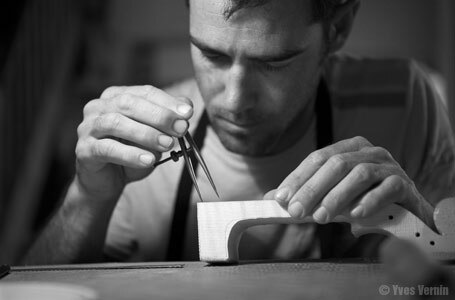 The highest levels of workmanship are required - it is a question of ethics.